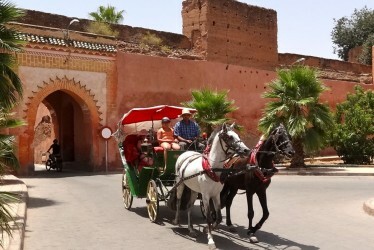 Marrakech's 19 kms of ramparts are almost 1000 years old with 22 gates along their length. 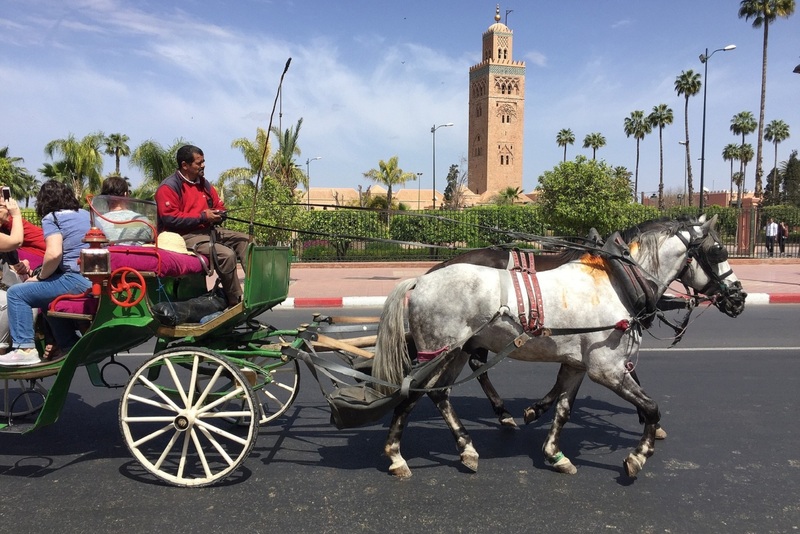 See them from a horse-drawn carriage for a fun and offbeat history lesson… This unique tour of Marrakech takes you through the beautiful and historic gardens of Marrakech. 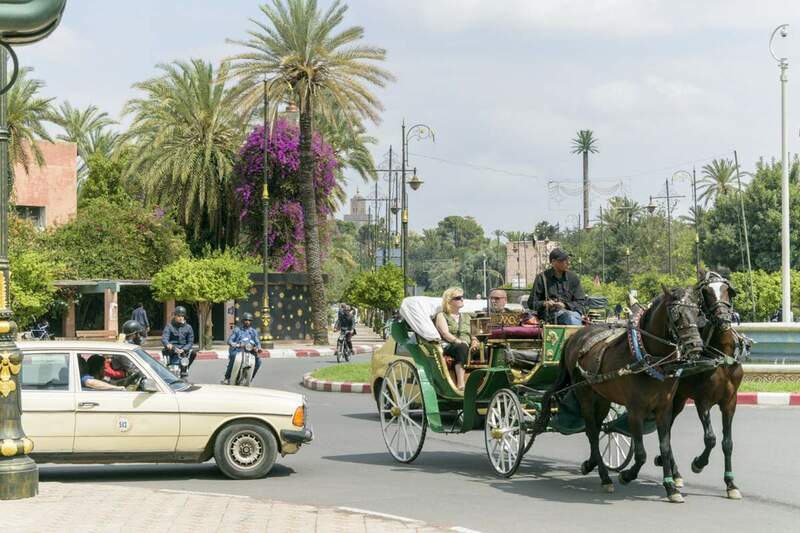 Take in the sights of the Menara Gardens flanked by the Atlas Mountains. 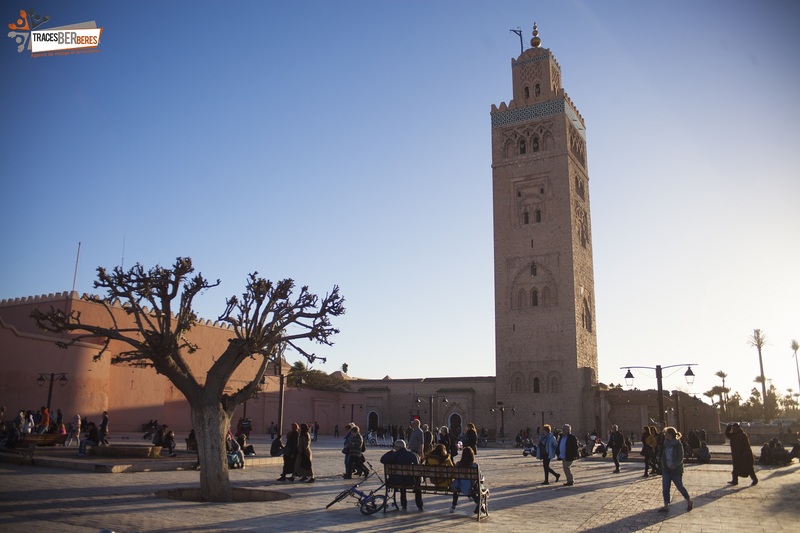 Symbol of Marrakech, in the same measure as Minaret of Koutoubia, this olive grove of hundred hectares is the right place to take a walk. The big basin in the middle reflects an elegant Saadian hall which sheltered the rendez-vous of the sultan… a pleasant place to have a walk in the evenings to see the sunset. You can feed the fishes that live there, bring some bread. Stroll though the Majorelle Garden designed by painter and botanist, Jacques Majorelle. These private gardens are owned the French house of fashion Yves Saint Laurent. The garden has a huge variety of cacti and other flora… Then, the Agdal Gardens in Marrakech are the origin of a fundamental garden type, the Islamic agdal garden. The gardens were constructed in 1157 by Almohad Caliph 'Abd al-Mu'min bin 'Ali al-Kumi (reg. 1130-63) at the same time as the nearby Menara Gardens. Today the Agdal Gardens are accessible to the public for several hours each Friday and Sunday, as long as the royal family is not in residence at the Dar el-Beida. When the Dar el-Beida is in use, the whole of the Agdal Gardens are reserved for the pleasure of the sovereign and his guests. 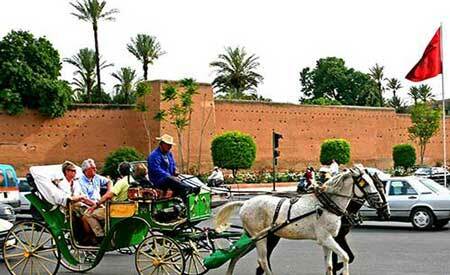 The Agdal Gardens were listed as a UNESCO’s World Heritage Site in 1985, as a part of the Médina of Marrakesh.